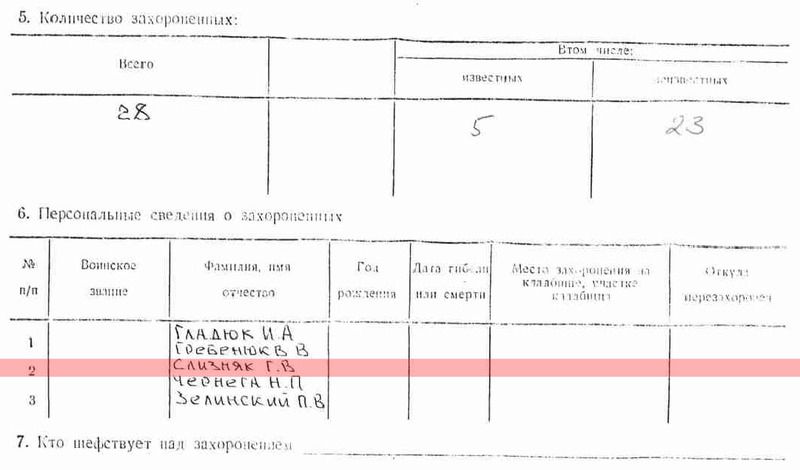 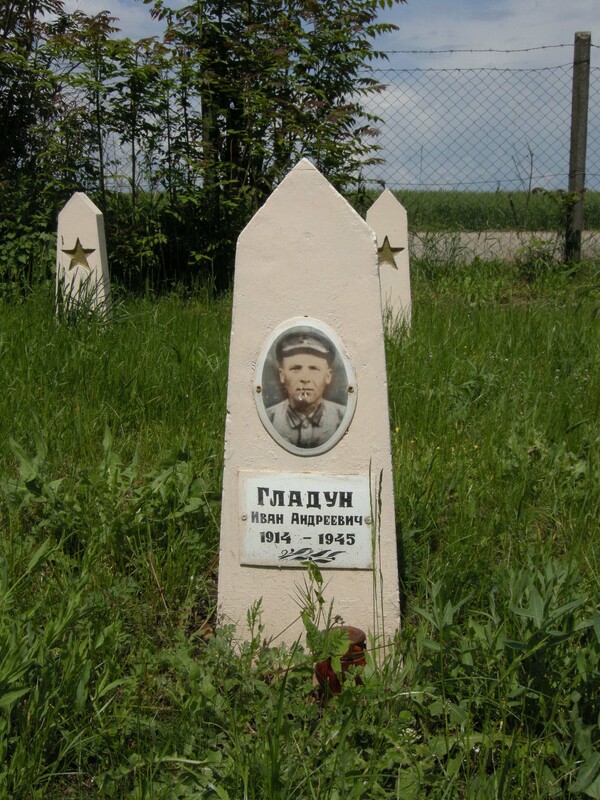 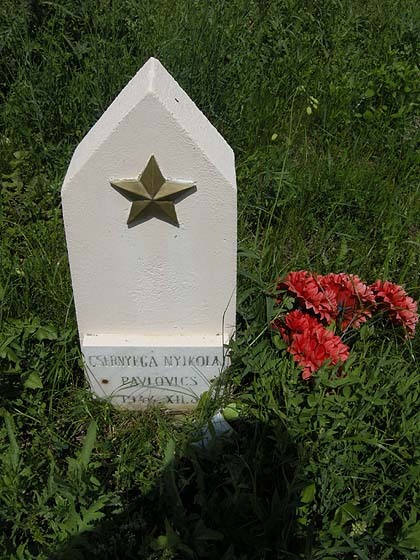 Araz has recently written about how he found the grave of his great-uncle Mustafa, fallen under Rzhev in WWII, thanks to the public database of the Russian Ministry of Defense as well as to the data exchange of voluntary research groups via internet. 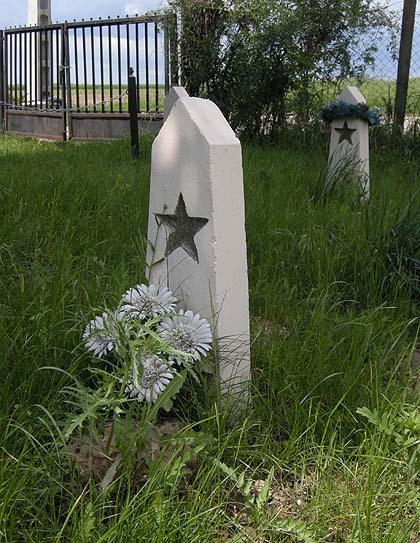 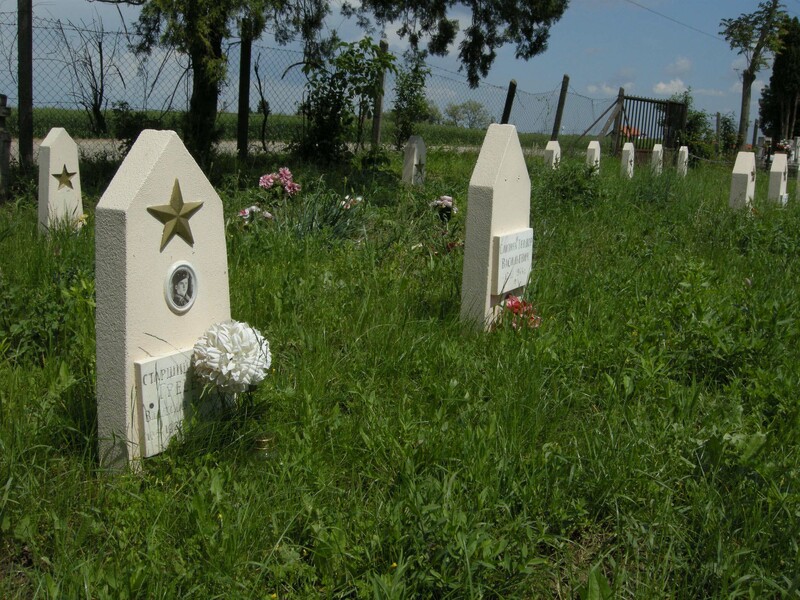 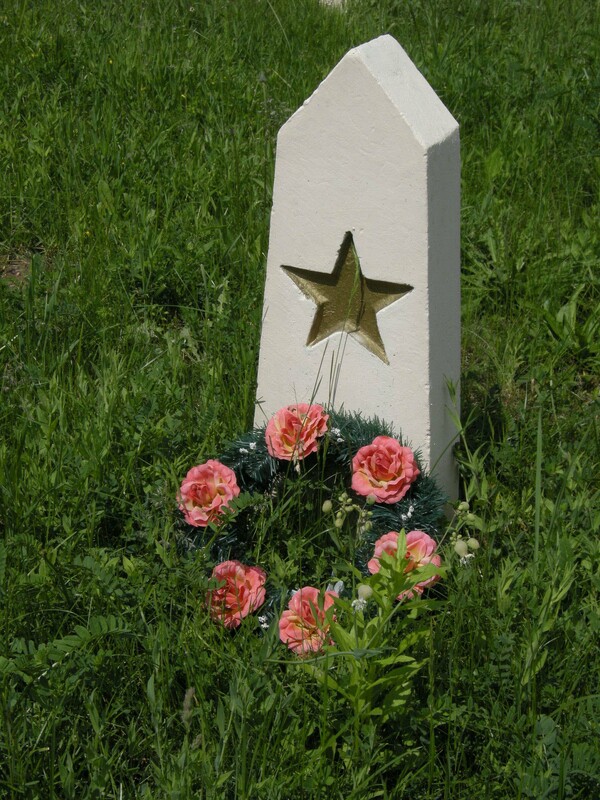 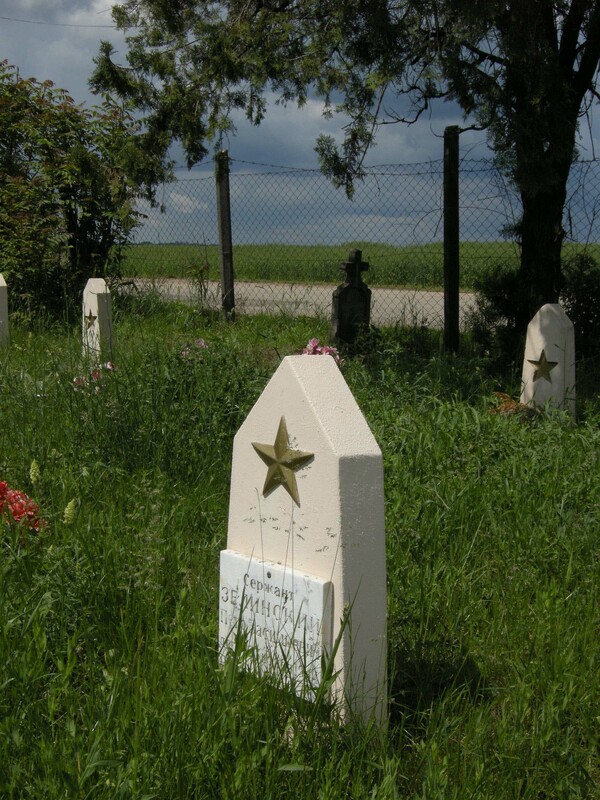 Now I would like to contribute to these data with the presentation of two Soviet soldier’s cemeteries in Hungary. 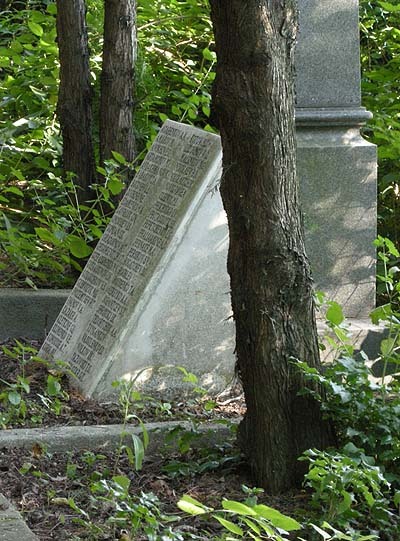 Two cemeteries only known by those living nearby – or neither by them. 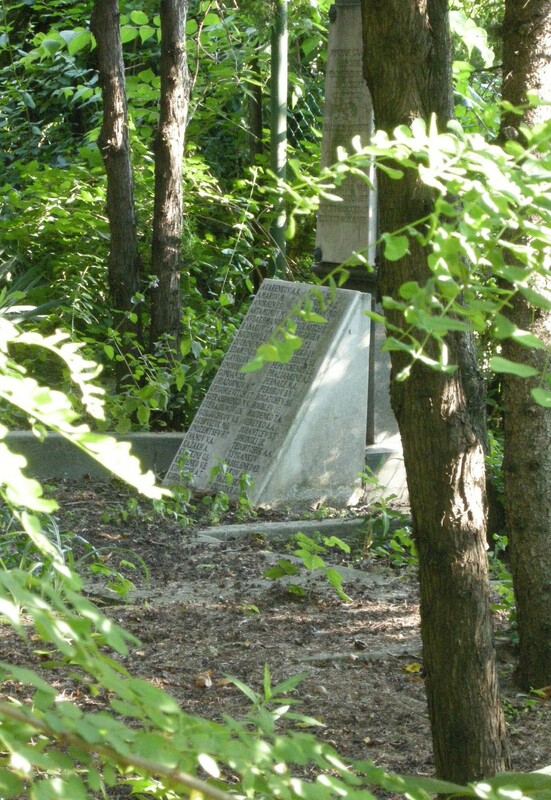 At the edge of the public cemetery of Aszód, in a parcel a little farther from the old cemetery, there are twenty-eight soldier’s graves standing in two arrays well recognizable even on the Google map. 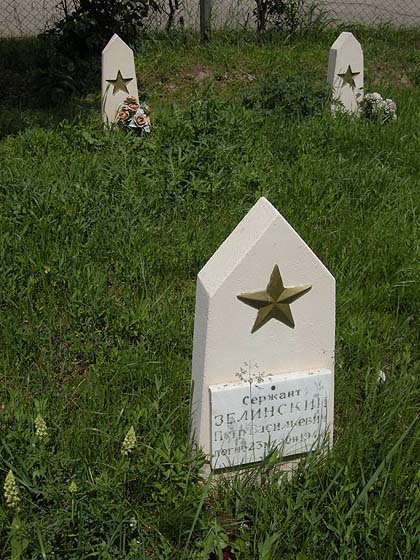 These Soviet soldiers fell in November and December of 1944, during the assault of Budapest (October 29 - February 13), in the battles against the most external “Attila” ring of defence of the city. 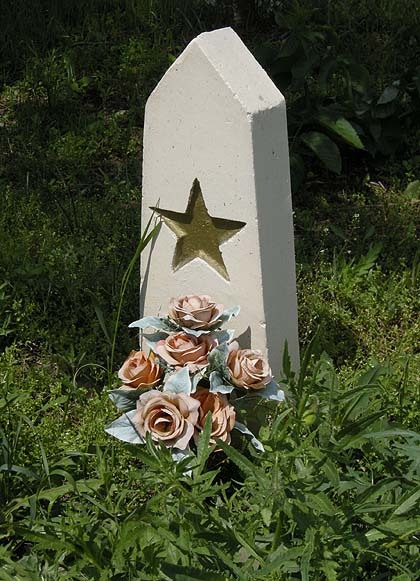 Except for five graves, none of them has any name on it, but all are recently painted and the stars gilded, and many of them have flowers on them. The inscription of four graves are in Cyrillic, while that of the fifth in Hungarian transcription. Perhaps the deceased was only identified later than the rest, when there was nobody any more to carve the name in Cyrillic. 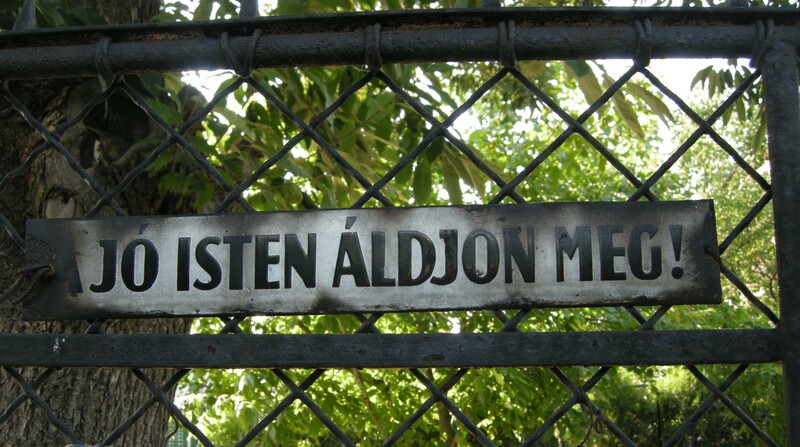 Who knows it? 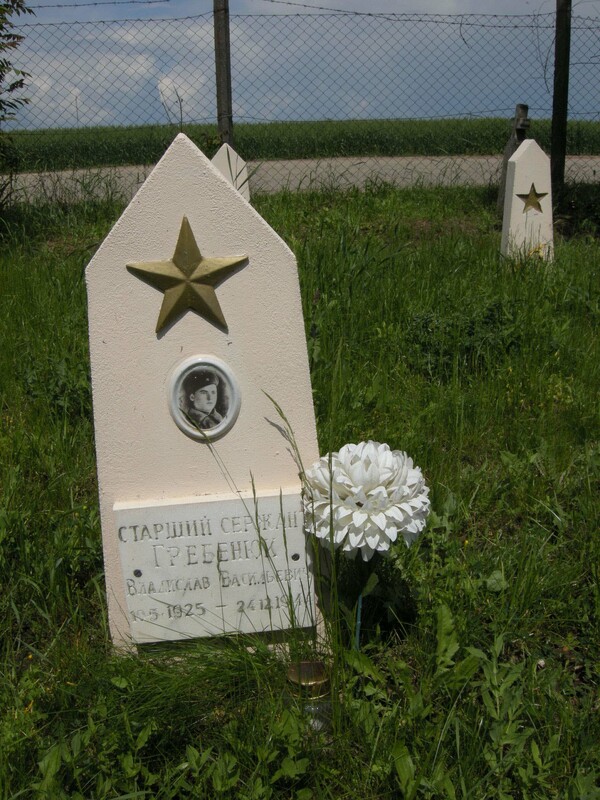 neighboring village of Verseg, at the church. 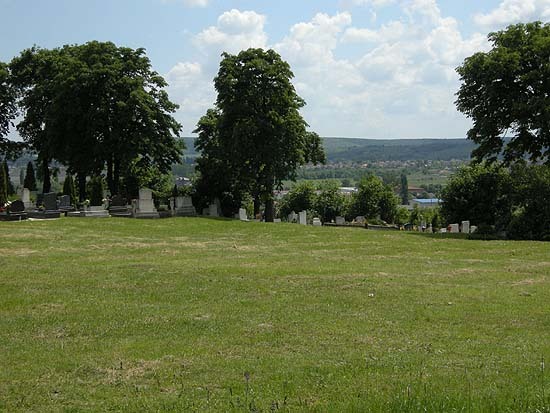 The other cemetery is in an even more concealed place. 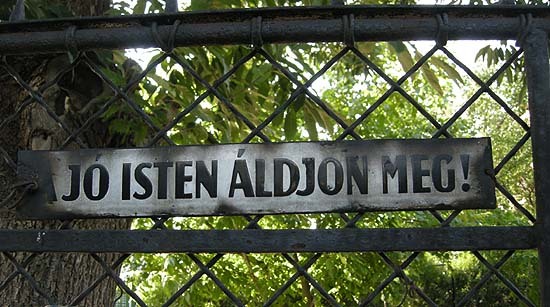 In Rákosszentmihály, the 16th district of Budapest, in the courtyard of a Catholic chapel. A churchyard in a churchyard. It cannot be seen on the Google map, as the old trees completely disguise it as if it were an army post. But you cannot see much more on the spot either. 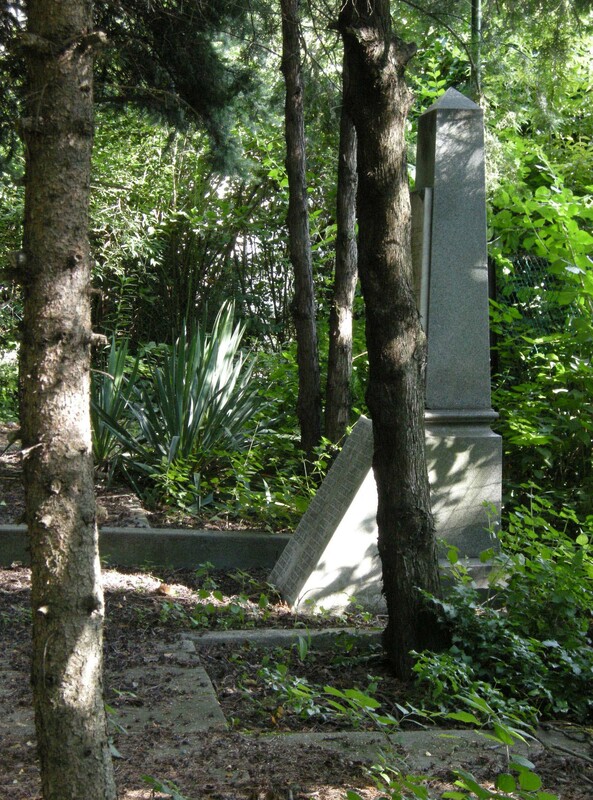 The small cemetery is encircled by a thick hedge within the courtyard, through the rifts of which you can only see a little bit of the obelisk and the marble plaque. The fifty names were carved in Latin script and in French transcription: probably there was nobody around who knew how to carve Cyrillic letters. 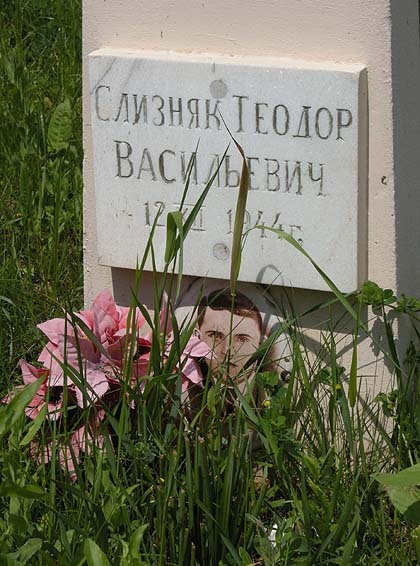 “At the end of forty-four there were heavy fights here”, a neighbor says, “and the fallen Russians were provisionally buried here, in the courtyard of the church. 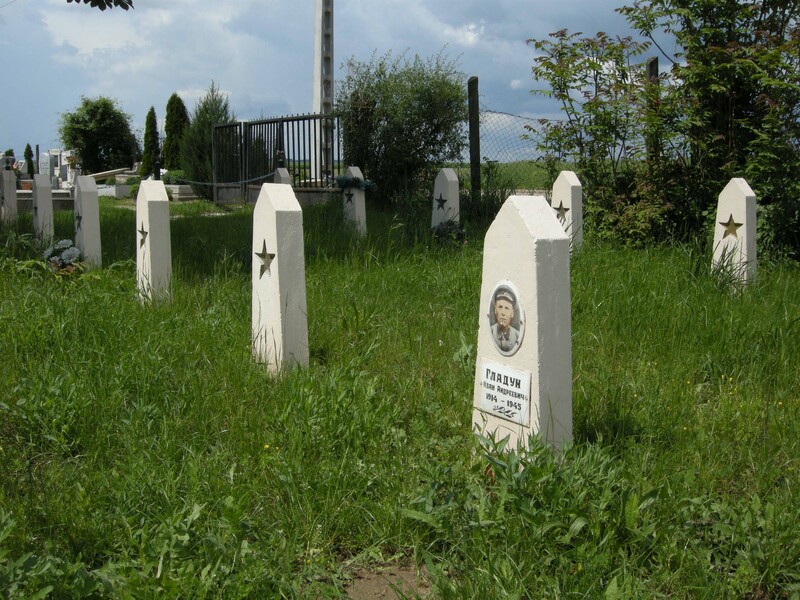 It has been planned for a long time to transfer them to the central military cemetery, but then they were apparently forgotten.” Perhaps someone will still miss them. 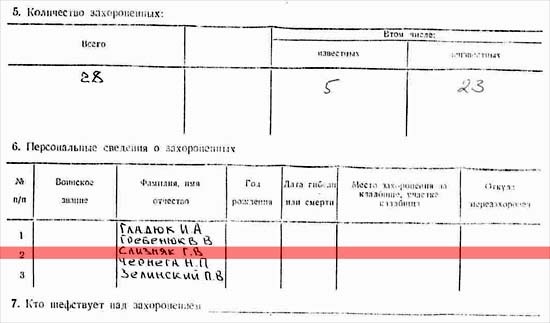 Griadounov A. I. Grigorievitch I. T.
Korol N. I. Kotov M. I.
Persikov S. V. Rogatchev S. G.
altri segni della memoria, altri nomi seminati nella terra. 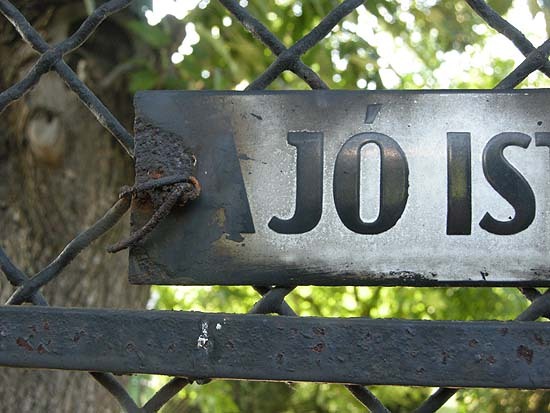 I semi muoiono. 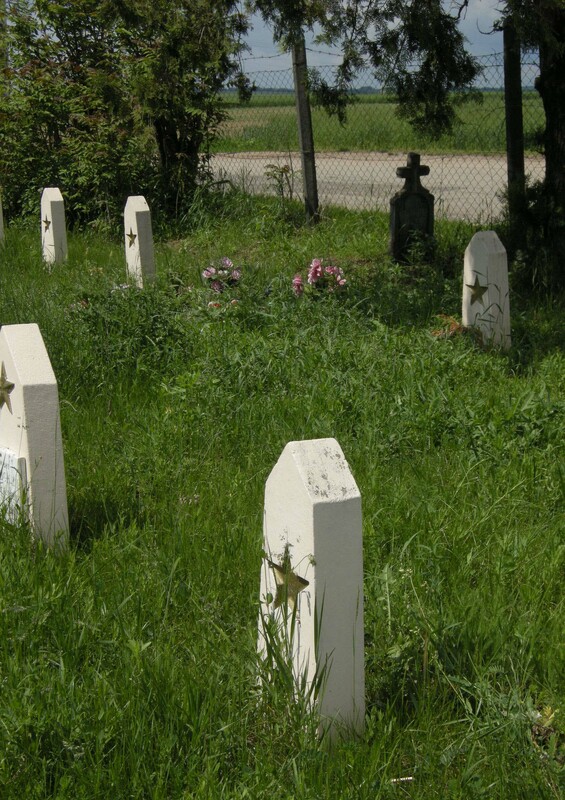 I semi vivono ancora, se i nomi vengono chiamati ad alta voce.